CLINTON, La. -- A Louisiana mother who said she was being held against her will sent her daughter to school with a note that helped authorities come to her aid. East Feliciana Parish Sheriff Jeff Travis tells news outlets that the 11-year-old showed the handwritten message from her mother to an adult at East Feliciana Middle School in Clinton on Tuesday. School officials then contacted authorities. Travis says the note insinuated the mother was being held hostage and asked for someone to call police. Hours later, authorities found the mother at a rural home. She was reportedly unharmed. After obtaining a search warrant, they also found the woman’s boyfriend, 27-year-old Donald Ray Guy, hiding in a closet. The woman had been scared to leave the home, which is in a rural area, and didn’t have access to a car there, the sheriff said. “I know she was relieved to get out of that situation,” said Travis, who declined to release a copy of the woman’s note. Guy’s mother and grandmother also were inside the home when deputies arrested Guy. Nobody was hurt, according to Travis. Travis said the girl seemed to be in “very good spirits” when she was reunited with her mother after school. “She’s a sweet little kid,” he added. Guy faces domestic abuse battery and false imprisonment charges. It’s unclear if he has an attorney. Deputies told CBS affiliate WAFB Guy was already wanted on warrants East Feliciana for failure to appear at trial, aggravated battery, and domestic abuse battery in the presence of a child. 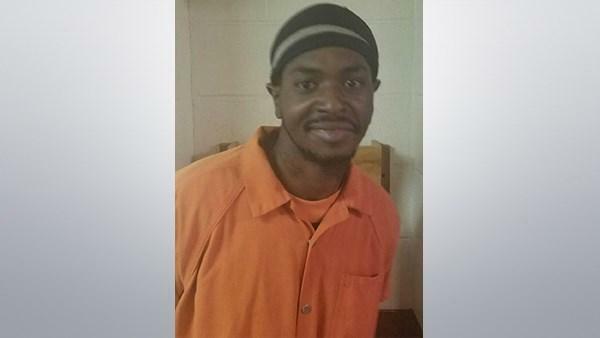 He also had an outstanding warrant in East Baton Rouge Parish, but had evaded arrest.